Vessels by DanStephDownloads 98 The counter was reset in 2013 when the web site was moved. Before that the counters showed 1212 hits for this addons. Many accidents in space cause fatalities because of the delay rescues vessel take to reach the crew. 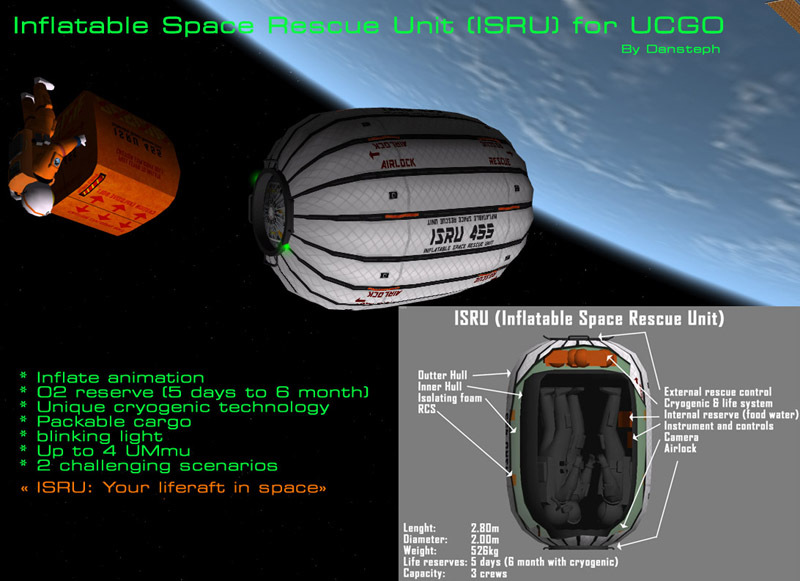 The ISRU is the solution to this problem: packaged in a compact and light cargo it's unique cryogenic technology allow a crew of 4 UMmu to survive almost 5 month in space.